Over the weekend, there had been a bit of confusion over LG's next gen flagship phone in the v series, the LG V30. Evan Blass, (evleaks) tweeted the following message. I will say this: adieu, ticker. So, unlike its predecessors, the LG V10 and LG V20, the LGV30 will not have a secondary display. Except that was not what he meant. A day later, after many blogs reported that the LG V30 will not have a secondary display, Blass tweeted criticizing them, and defended his words by saying that the LG V30 will not have a ticker display, and that his original tweet was misinterpreted to mean “there is no secondary display”. Usually I stand by Blass' words, but this time I'm going to with the general populace. The LG V10 and V20's ticker displays, were intended for quick settings, notifications and shortcuts. There is no other display (besides the main screen of course) on the Phones. So when one says there is no ticker display on the V30, what do we assume ? That the phone has a single display, aka no secondary display. So, naturally that's what everyone understood the tweet as. Anyway no harm, no foul. Now, the fact that his second tweet translates to “there will be a secondary display”, leaves us to guess what it wil be used for. Another tweet does confirm that the secondary display is present, but just not as a ticker display. It could be a dedicated shortcut dock (minus the ticker functions), ot maybe it could be an Edge Panel sidebar with quick shortccuts on the sides of the display (like in Samsung's Galaxy S7 Edge). But that is still a single display, unless LG wants to make a dual curved edge display (LG does manufacture displays), with one of the two edge's acting as a secondary display. 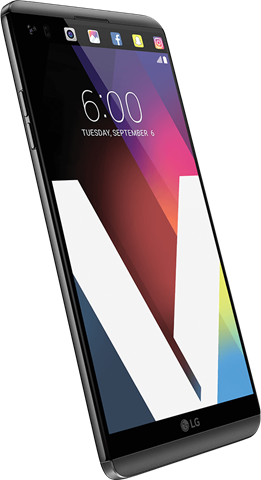 Then again, these are just guesses, so we will have to wait and see what magic LG creates with the LG V30. Speaking of the V series, word on some news websites, is that the LG V20 may be launched in India, at the end of November for about Rs. 49,990.